Inside the Church of Notre Dame, above the main entrance, a list established in the 19th century details William’s closest companions, those who took part in the Battle of Hastings. ‘… At the foot of the hillside, at the mouth of the River Dives, Duke William gathered together the fleet that was to transport his powerful armed forces towards the English coast… after having camped for a month on these banks before embarking…’. The Church of Notre-Dame in Dives-sur-Mer was originally a small chapel built in the 11th century. It is dependent upon the Men’s Abbey in Caen. Indeed, a century after its construction, the chapel proved too small to welcome its entire congregation. William the Conqueror provided donations in order for a Romanesque edifice to be built. Extended in the 14th and 15th centuries, the church suffered great damage inflicted by the Huguenots in the 16th century. Its present-day architecture, of Flamboyant Gothic style, is very different from its original aspect. Dives–sur-Mer church also became a pilgrimage site after a legend told the tale of a miraculous Christ, bleeding at the knee, found in the sea on the 6th of August 1001. The figure was not attached to a cross; however, a few years later, the waters also yielded a naked cross that perfectly matched the Christ. The cross is then said to have been placed within the Church chapel. 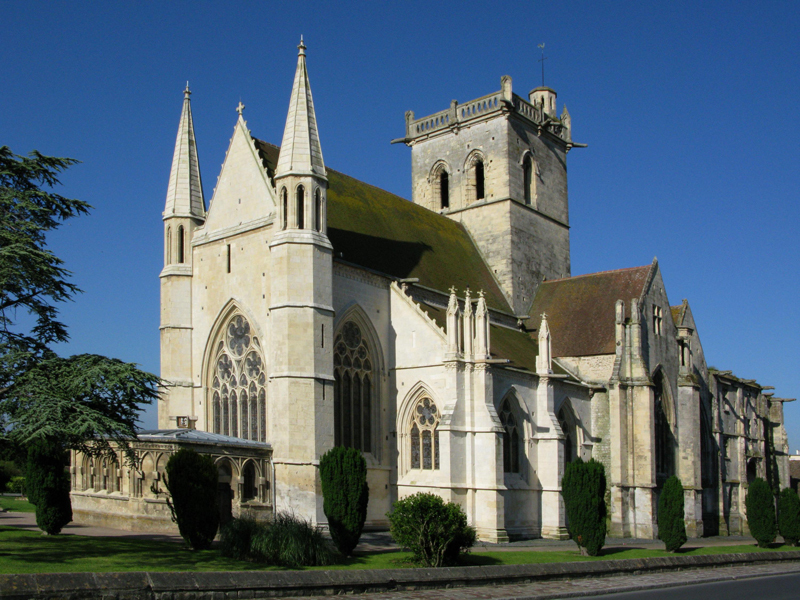 However, the Christ is believed to have been stolen during the wars of religion, after which pilgrims ceased their travels to the Dives-sur-Mer Church. The currently displayed cross is a 17th century replica. The Church boasts several remarkable features. Firstly, a leper window can be seen from the outside. This opening enabled leprosy sufferers to attend mass without having to enter the church and mix with healthy believers. 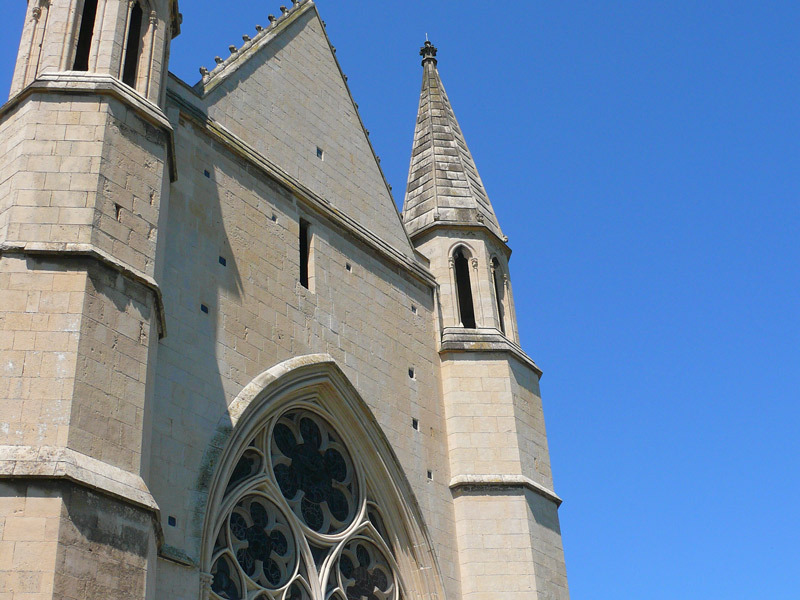 Another remarkable feature of Dives-sur-Mer Church can be seen above the pediment. Arcisse de Caumont had a plaque installed above the door of the main entrance. It lists the names of the 475 loyal followers who accompanied William the Conqueror on his journey to conquer England. For it was from Dives-sur-Mer that the future King of England set off in 1066, along with a grand total of around 6,000 men. Finally, over 400 examples of sailors’ graffiti are engraved on the walls – an originality one does not expect to find in a church. Finally, this is precisely the church that inspired the Church of Balbec, depicted by Marcel Proust in his novel In Search of Lost Time. 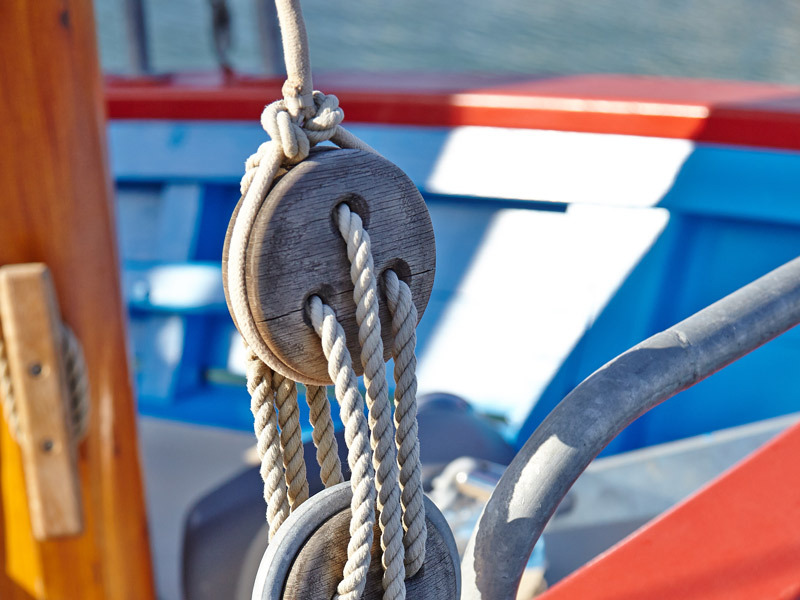 Restoration work has been undertaken since 2012. 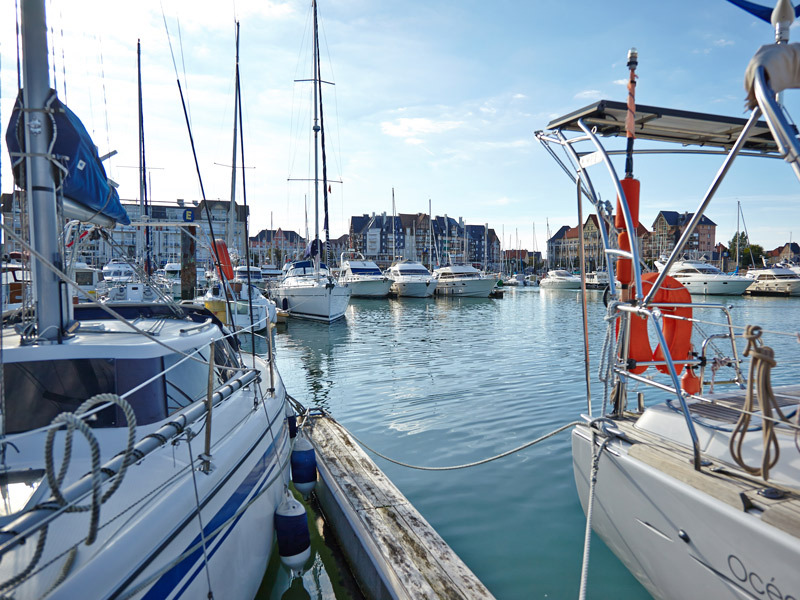 It promises to offer Dives-sur-Mer a return to its bygone splendour, for it has inspired great names over the centuries, from Arcisse de Caumont to Marcel Proust, via William the Conqueror.